18nov11:00 am2:00 pmTamale and Beer PairingPre-purchase your ticket online! 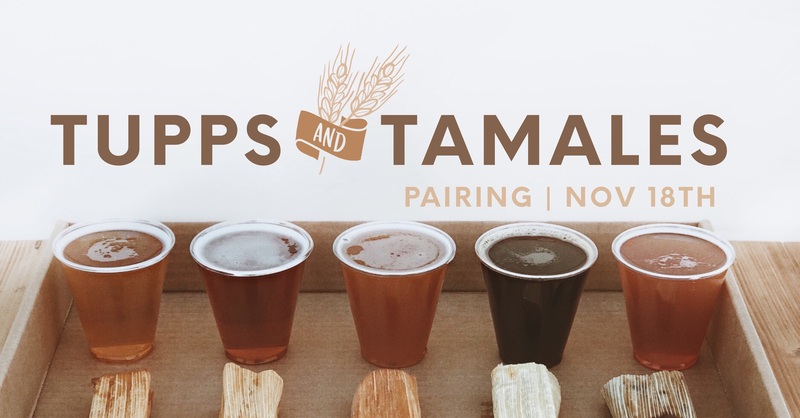 We’ve teamed up with The Tamale Company for an epic pairing of spicy and sweet tamales with our refreshing and cold beer! For $17 per pairing, you will get five different beers (5 ounces each) and five different tamales (1/2 of a tamale each). Purchase your tickets and come by anytime from 11am-2pm to get your pairing. Stay for the day! We will have a free brewery tour at 12:30PM and live music by Colin Boyd from 1-4PM.